How to Paraphrase Effectively. 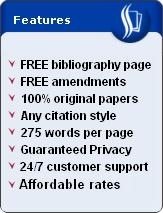 In writing essays and other papers, there will come a point that you will have to borrow another author's ideas, findings, or observations. In those cases, your professor may discourage you from using direct quotes. This is where paraphrasing enters the picture. 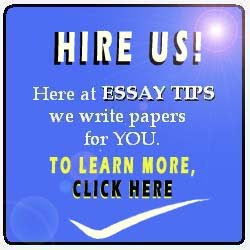 However, it is not enough to write a paraphrase in your essay. It also has to be both useful and relevant. Here are some tips on how to paraphrase effectively so that you can ace your essays. First, let's reacquaint ourselves with the essence of a paraphrase. At the heart of paraphrasing is the substitution of an original text with your own words. A paraphrase, therefore, is basically an interpretation. With that in mind, an effective paraphrase is one that transforms an original text into your own, as though you were the one who originally conceived of the idea. To do this, you have to read the original text, or quote, carefully. Then, recall it in your mind. Try to remember what has been said, or what you have just read from your source. After that, write down your thoughts as you remember them. What you have written is the paraphrase. From there, let's go a step further. Read your paraphrase, and then go back to the original text. Ask yourself: is the thought similar but not exactly the same? If the answer is yes, you're doing good so far. If the answer is no, such that the thought remains exactly the same, rewrite your paraphrase. Do this by repeating the first step. Once you have written a new paraphrase, ask yourself the same question above. Repeat until the answer is yes. For example, if the original text from your source is "The American economy has been on a slow but steady rise over the past ten years," then a paraphrase that sounds similar but not exactly the same is this: Over the previous decade, the nation's economy has been performing good. From there, it's time to polish your paraphrase. Do this by removing unnecessary words such as adjectives and adverbs. Insert descriptive words whenever needed. Check the spelling and sentence construction. Ensure that there is right punctuation. Use the active voice where the subject is the doer of the action instead of the passive voice. Above all, make sure to put the proper citation at the end of your paraphrase. All these things will help you to write an effective paraphrase. If you still have questions, contact us by sending us an email. Just click on the appropriate link in the website's header section at the top. Or click on the image below. We may be able to help you more.